My five year old and I had the pleasure of reviewing three books from DK Canada for the month of March and we were both super excited to see what the books had in store for us. 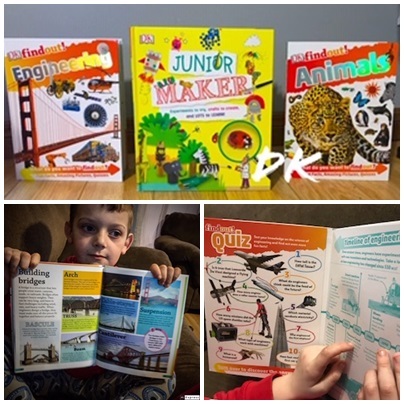 We chose DK Find Out Engineering, DK Find Out Animals and Junior Maker. I give all three of these books five-star ratings for being interesting, exciting and full of fun neat facts and crafts for us to learn and create together. DK Find Out Engineering allows you to discover the fascinating world of engineering. The book is full of amazing images, fun quizzes, and incredible information. You will learn engineering concepts such as levers, wheels and axles, and pulleys work, and how techniques have changed and developed over time. 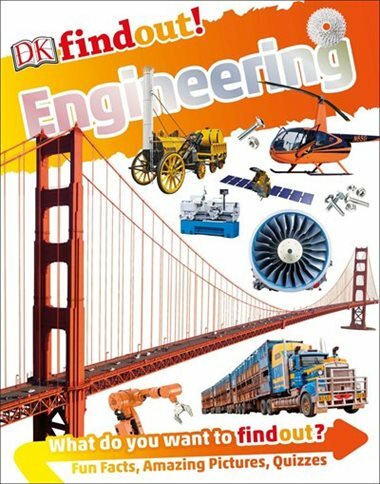 The main value of this book is that it summarizes the entire history of Engineering in easy-to-grasp terms, with pictures and quotes combined with a narration of historical periods. They don’t leave out important things or fun facts of history or existing world artifacts, and for the beginning explorer, it's a great place to start. My son and I took the time to read it, and fill or brains with information. DK Find Out Animals takes readers on a tour of different habitats and homes of animals, showing how each one lives differently to survive. Discover the different diets of carnivores and herbivores, meet lazy sloths, learn how camouflage works, and see how animals have adapted to their environments. Pull out the special cover flaps to see extra information about animals and take a quiz about everything in the book. Filled with bright, quirky images and amazing facts, DK findout! Animals is an exciting trip on the wild side. DK Find Out Animals is another beautiful book we enjoyed. My five year old son really enjoys learning about animals of the sea and land. It is advanced enough that he will still get many years of use out of it, but engaging and well-designed enough that it holds his interest now. This is exactly the kind of book I would have loved to have as a kid! DK Junior Maker lets little ones get in on the maker fun with this cool book that supplements and complements the subjects they learn at school, while also encouraging hands-on interactivity and play. With clear step-by-step instructions and photos, young children will learn about a given subject through interactive activities, crafts, and experiments. There are a huge variety of projects to choose from--from watching a homemade volcano erupt or building a storm in a jar to taking a trip back in time to see how the Roman legionaries conquered their enemies. In addition to nature and history, the book also covers wildlife and space, so there's something for animal lovers and future astronauts alike. This book was so much fun to look through as we love to do activities together. It was fun to look through the book to see that most of the crafts used materials that we have laying around the house. It's colorful and filled with lots of easy craft projects that will not only have my son learning, but also having fun. All three books that we received are all colorful and bright, filled with lots of information, but also simplified and laid out with graphics and pictures that are easy to follow. We would absolutely recommend each book to anyone who has little ones who are curious and love learning. We are so excited that one lucky CANADIAN reader will be able to win all three books in our giveaway. To enter, comment below which book you think your child would love the most! Likely Junior Maker since he is a crafting crazy kid. My grandson would enjoy both the DK Find Out Engineering & the Find Out Animals books. DK Find Out Animals would be loved by my grandson,he loves reading and watching them ! My grandson would love the DK Find Out Animals book! I think my youngest will like Junior Maker the most, and my oldest will like DK Find Out Engineering the most. Find Out Animals, for sure! My daughter would love the Animals book! I think my granddaughter would love the DK Find Out Animals because she loves animals. My little one would be very happy to get DK Junior Maker! 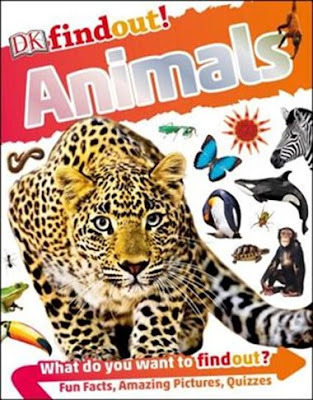 My son would love the Animals book the most. I think my granddaughter would really enjoy the DK Find Out Animals book. 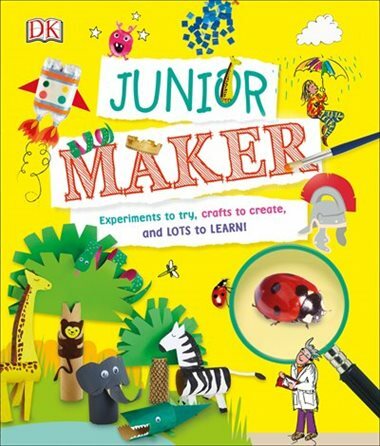 Both my girls would enjoy the Junior Maker book. A great way to help kids find out. All 3 of my kids would love the Find Out Animals book. My oldest would really like the Junior Maker book as well. My son would love DK Find Out Engineering! I think they would most enjoy Junior Maker. My youngest would love the DK Junior Maker because she has a very curious mind. My nephew would like the DK Find Out Animals.